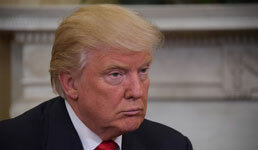 As President Donald Trump prepared to speak on national television Tuesday night about the federal government shutdown, the lack of government funding already had led to a postponement of a meeting deemed pivotal by a growing pool of financial advisors who are focused on the Opportunity Zones program at the U.S. Treasury. Established by Trump’s 2017 Tax Cuts and Jobs Act, the Opportunity Zones program offers investors the option to shelter capital gains from taxes if they invest for the long term in properties or businesses located in some 8,700 census tracts scattered nationwide and designated by the Treasury Dept. as economically distressed. On Jan. 7, the IRS announced that due to the government shutdown it had cancelled a public hearing about the proposed regulations for the Opportunity Zones program originally scheduled for three days later. The IRS will reschedule the hearing but not until at least two weeks after the shutdown ends and appropriations for the Department of the Treasury are restored. For financial advisors, the Treasury’s delay of the hearing means a stumble at the starting gate for a new program that calls for their investor clients to rely on continuity of government policy for 10 years. “Once we have clarity, I think there will be pretty substantial comfort,” says Christopher Pegg, a senior director of wealth planning for Wells Fargo Private Bank. Investors know that their asset ownership is “always subject to the vicissitudes of the tax laws,” he says. But because the Opportunity Zones program is “so new and different, there are real unknown specifics now that investors want to be clear about,” Pegg adds. There is also limited time for investors to take full advantage of the Opportunity Zones program. To reap maximum rewards from the Opportunity Zones program, investors need to have purchased stakes in designated tracts’ properties or assets by December 2019. Also, with recent volatility in equity markets, many investors want to make imminent decisions about whether they should sell assets and incur capital gains, Pegg says. But investors want to do so with clarity about the tax consequences of those capital gains.